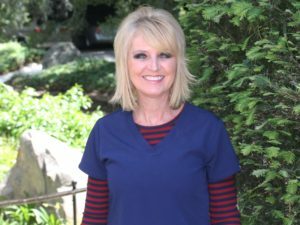 Nancy began working in the practice 37 years ago as an intern. She later became an RDA/CDA and is now the Office Manager-Financial Coordinator. Nancy’s urge to help people guided her into dentistry. She gains a sense of satisfaction when she is able to assist patients in choosing the right payment plan and maximizing their insurance coverage, when applicable. She cannot imagine working in a different field or a better practice. The best part of Nancy’s job is seeing the transformation of each patient’s smile and knowing that the office had a role in bettering that person’s life. In her spare time she enjoys spending time with her family and friends, and traveling.